Cheetos Crunchy Flamin’ Hot Cheese Flavored Snacks (Pack of 40) only $10.70 shipped! Stock up on school snacks or Easter basket fillers with this deal on Cheetos Crunchy Flamin’ Hot Cheese Flavored Snacks! 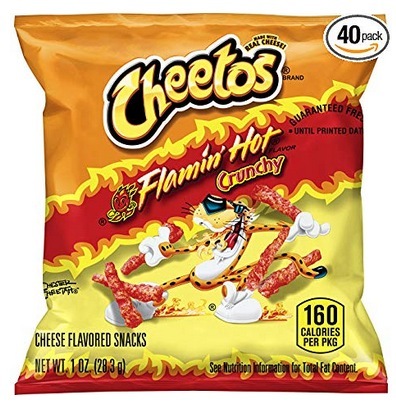 Amazon has these Cheetos Crunchy Flamin’ Hot Cheese Flavored Snacks for only $10.70 shipped when you clip the $3 off e-coupon and checkout through Subscribe & Save! That’s like paying only $0.27 per bag shipped! « Cuisinart Classic Stainless Steel Cookware Set (8-Piece) only $99.99 shipped!